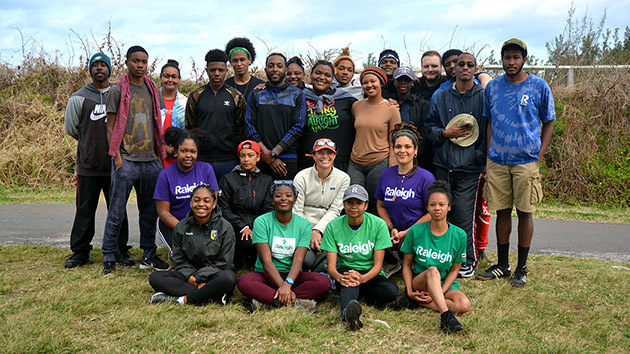 Since 2005, BIOS’s Ocean Academy and Raleigh Bermuda have partnered in the support and development of young Bermudians in their six-day Outdoor Survival Camp as trainees prepare for volunteer work in Tanzania, Borneo, Costa Rica and other countries. 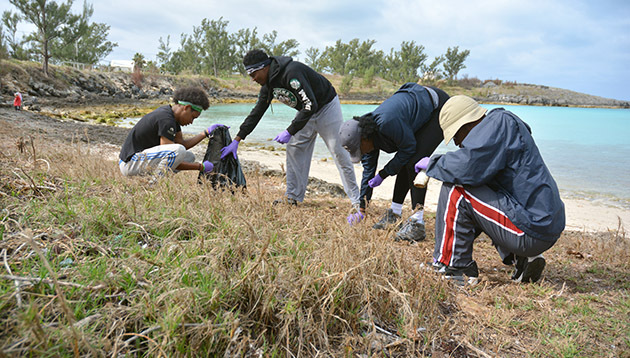 In early April, 28 young Bermudians and their adult mentors, ranging in age from 17 to 27, participated in an environmental project on the island that exposes trainees to some of the rigors of working abroad. 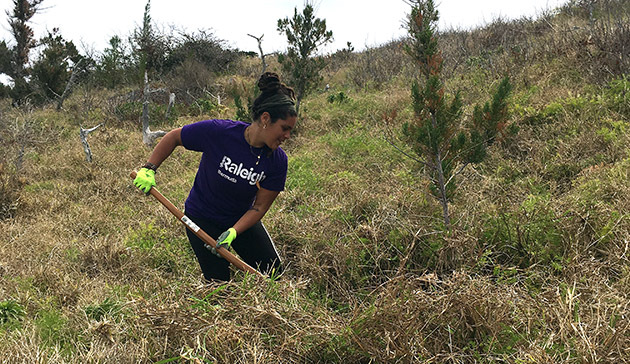 The goal of the environmental training day is to provide participants with outdoor skills and a sample of the endurance requirements they will need for the environmental portion of their summer expeditions, said Tina Nash, executive director of Raleigh Bermuda. The 14-year partnership is funded by BIOS’s Ocean Academy and gives all participants a chance to give back to Bermuda year after year, said Kaitlin Noyes, who oversees Ocean Academy.